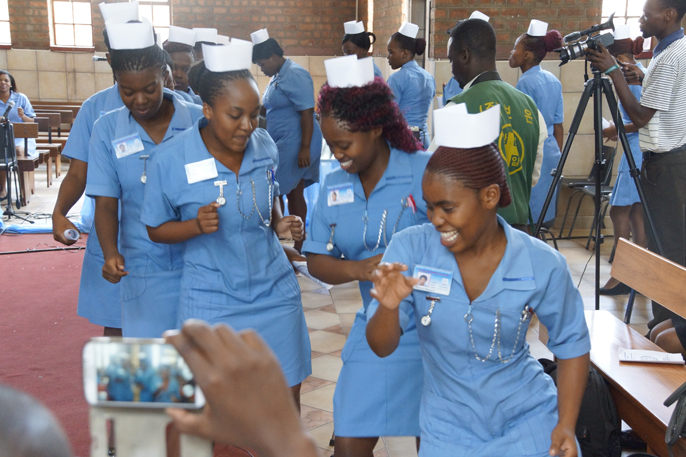 The Chairman of the Students Christian Movement of the Faculty of Health Sciences Students has revealed that the group will embark on a community outreach activity at KaPhunga in Siteki, from the 29th -31st January 2016. According to the Chairman, this outreach will reach the people of kaPhunga both spiritually and health wise. The Chairman said that as SANU students, they have a mandate of responding to the strategy and the mission of the University. He said SANU differs in the sense that she focuses strongly on ensuring that a person develops holistically, that is; intellectually, spiritually and physically. This is designed for all who are within and outside the University community. He stated the strategy of the university has a community service component, which requires both students and staff to implement projects and activities which will improve people’s lives in different communities. “It is in line with this that the students’ Christian Movement will embark on the exercise,” he added. Elaborating on the programme of the weekend of the activity …said that on the Friday of the 29th , there will be a service from 1630hrs to 2100hrs, then on Saturday, in the morning at 0800hrs there will be a prayer. At 0900hrs there will be home visits, at 1300hrs there will be an open air where they will be doing health talks on hypertension and diabetes mellitus. After that, people will get an opportunity to know their health status on the two conditions where as they will be counseledandtested. People will also get to know about SCM-student Christian movement and about the university at large. Then in the evening, it will be a service at 1630 hrs. Lastly on Sunday there will be a youth service at 0900hrs and the main service at 1000hrs.